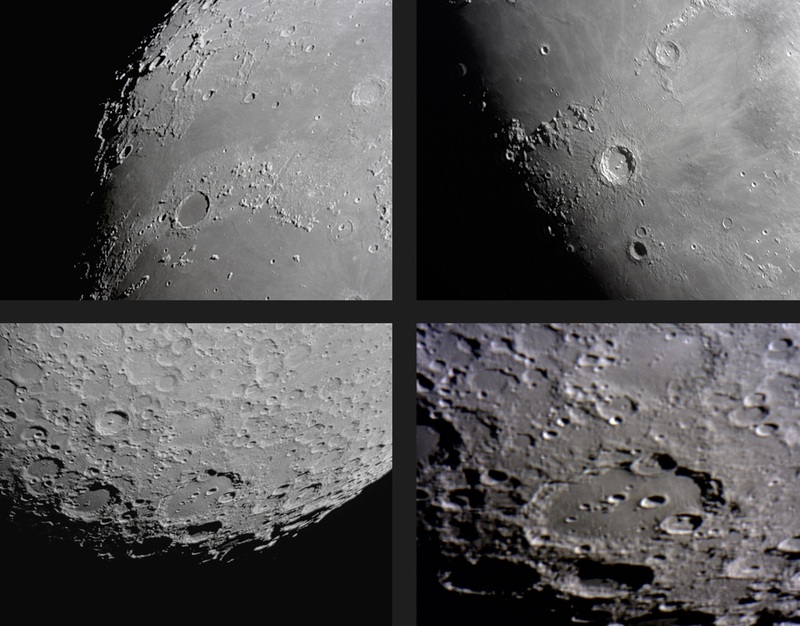 The Moon is a highly detailed object to observe, except when it’s close to full. At that time, features may seem washed out due to the lack of shadows on the surface. Otherwise, you could expect to see resolution as good as the photos above. As the phase approaches full, larger telescopes will use a filter to reduce the brightness. 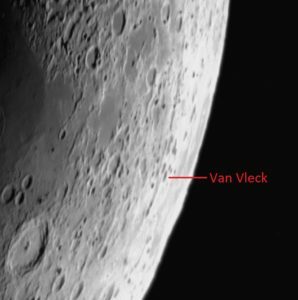 On certain nights before first quarter phase, Van Vleck crater (named after John Monroe Van Vleck) is visible. ASGH members may have a telescope equipped to point it out. This image was taken with a 3-1/2″ telescope set up outside of the observatory on a public night, 4-29-17. 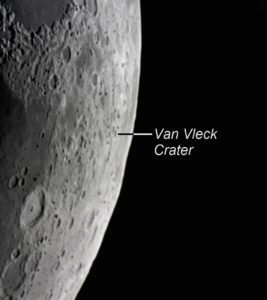 The crater was visible on a video monitor and also through the telescope. A better view was available with the 20″ refractor. The crater is 19 miles [31km] in diameter. The image below was taken with an 8″ telescope on 6-16-18, and has somewhat better resolution.